Hair leaves the best trail or track, but hair drug tests will only go back as long as your hair is. Let me explain; hair grows at about 1/64 inch per day. So if you have two inches of hair you will have approximately a 128 day history. You can not test what is not there. You can only go back 6 to 8 months if your hair is that long. Many companies say they will CLEAN your hair. WRONG!! For a simple example, consider hair to be like a plant. If that plant is grown in a toxic environment it will grow with this toxin or toxins as part of its molecular structure and makeup. You CAN NOT change what it is made of and you CAN NOT remove or clean a portion of this molecular structure which would be the toxins it is made of. YOU CAN ONLY SOAK AND MASK. Some companies also say they can clean your hair forever. WRONG. Your skin which is actually your fatty tissue is where most toxins are stored. When your body gives off skin oil or sweat your are releasing toxins that will touch and be absorbed back into your hair. Now you are toxic again. Also you must be very careful after processing toxins in your hair that you do not contaminate your hair before the test. DO NOT use a comb, brush or towel that has not been thoroughly cleaned with hot water, soap and bleach. Especially if it is THC or nicotine as they are oil based toxins. Also do not apply any hair gels or hair spray and do not blow dry. This will weaken the treatment. Hair drug test shampoo treatments should not cost more than about $50.00 per treatment.Products to Pass a Hair Drug Test. 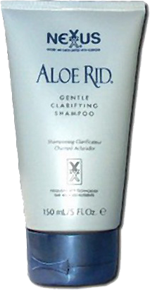 has been specially formulated to remove all toxins from the hair. cleans the oils from the scalp, where toxins are found. 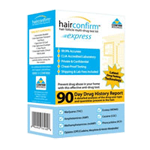 HairConfirm is the perfect drug testing solution.